Although major hurricanes like Katrina, Ivan, Ike, Rita, and the most recent one that raged through Puerto Rico, Maria, leave unbelievable damage in their wakes, spray foam roofing is proving through each storm event that it can survive these unbelievable conditions. 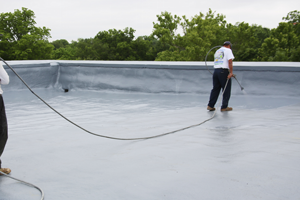 That means spray foam roofing (also called spray polyurethane foam, or SPF), may be the best choice to protect your commercial building in the harsh weather of North Texas, too. How Do Hurricane Conditions Affect Roofing? Let’s look at a little background information on hurricanes that will help us understand just how strong and durable spray foam roofing really is. The National Hurricane Center categorizes hurricanes using the Saffir Simpson Scale, which measures the estimated potential for property damage on a scale from category 1 (the least severe) to category 5 (the most severe) based on wind speeds. Winds will range from 74 to 95 mph, causing damage to trees, power lines, and utility poles. Some damage to siding, roofing, and gutters can be expected. Winds from 96-110 mph are expected to cause extensive power loss. Major damage to roofing and siding is common, even in storms of this relatively lesser intensity. These storms pack winds between 111 and 129 mph — a conventional roof is at serious risk for being peeled away. Extensive exterior damage to even the sturdiest frame houses can be expected, and utilities may not be available for days or weeks. Winds from 130-156 mph mean that severe damage is expected, including total loss of most roofing systems and severe damage to the exterior walls. Power outages are usually expected to last for weeks. 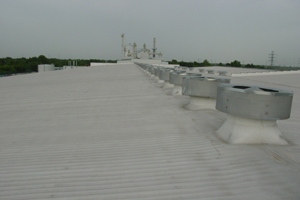 During the 2004 hurricane season, 3 major storms pounded one particular section of Florida, making landfall in an area where SPF roofing was heavily utilized. When it was all over, nearly all those spray foam roofing systems were observed still intact — even through one of those storms was a category 4 hurricane. Other kinds of roofing systems did not hold up well at all. Damage was widespread. An important point to note is that conventional roofs damaged in the first storm that were quickly replaced with or covered by a spray foam roofing system notably stayed intact through the next 2 storms, showing how much more reliable SPF can be in harsh weather conditions. Spray foam roofing showed the same superior performance again during the 2017 catastrophic hurricane in Puerto Rico (Maria) in 2017 — SPF roofs had a much greater likelihood of staying intact and protecting the building’s interior and occupants, even under the worst of circumstances. Additional information from the NIST (National Institute for Standards and Technology, USA) on instances from Hurricane Katrina can be found here. Rare cases of damage to SPF roofs were observed, but most of those were attributed to failures of the decking or substrate material — some were possibly the result of do-it-yourself, non-professional installation. 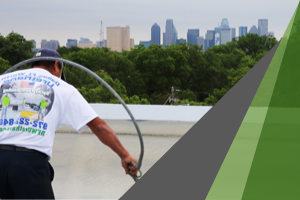 Simply put, professionally applied spray foam roofing stands above the competition in heavy storm conditions — there is no comparison. North Texas is famous for some pretty severe weather — storms packing hail and high winds that sometimes develop into tornadoes. Storms with strong straight-line winds of 60-80 mph are not uncommon in this part of the country, and we have storms that bring 100 mph winds from time to time. These storms are likely to cause a lot of damage, unless your commercial building is prepared with the right roofing system. What we’re hoping you can see from the hurricane cases above is that spray foam roofing is your best chance to avoid damage and costly repairs due to weather damage. If you want peace of mind as a business owner, or as the person in charge of a commercial building, SPF is an option you really should consider. 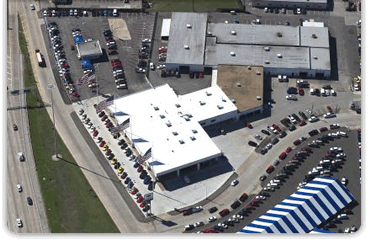 With protection against high wind, hail, and flying debris, plus a watertight seal, you’ll have the best protection available to keep your commercial roof damage-free and your bank account safe from costly repairs. Click here to schedule a free estimate on a spray foam roofing (SPF) system — toughness that can bring you peace of mind, no matter what our unpredictable weather throws at it.